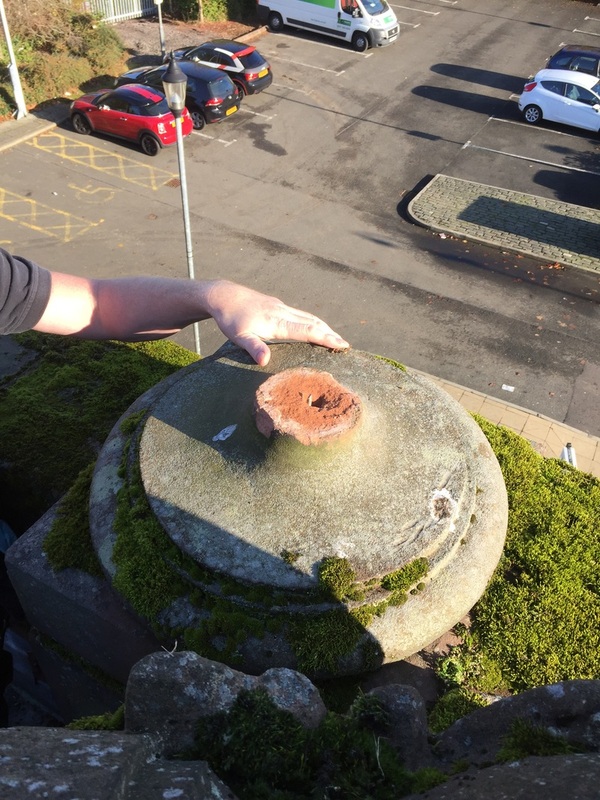 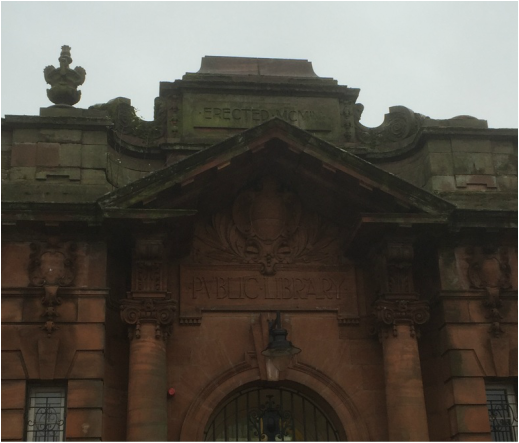 We were asked to repair one of the two ornamental finials, above the entrance to this old public library. 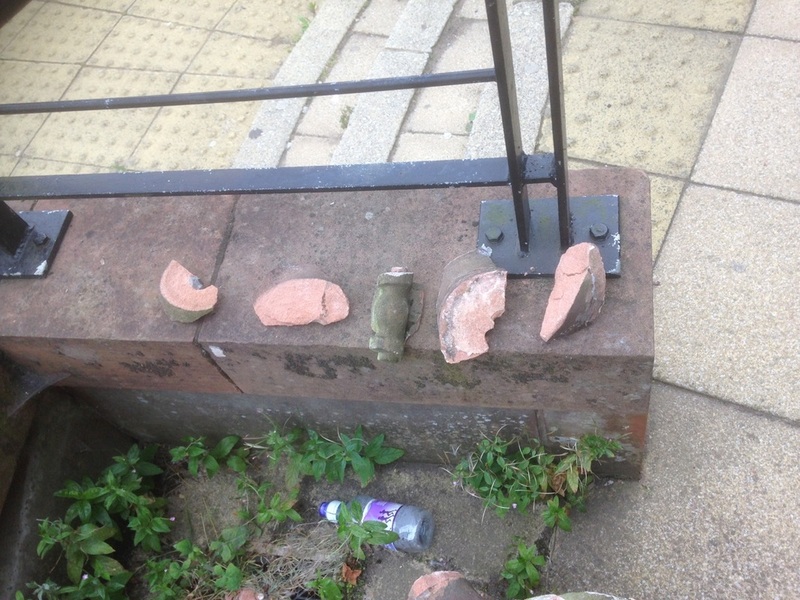 It had been pushed off and smashed into many pieces on the street below. 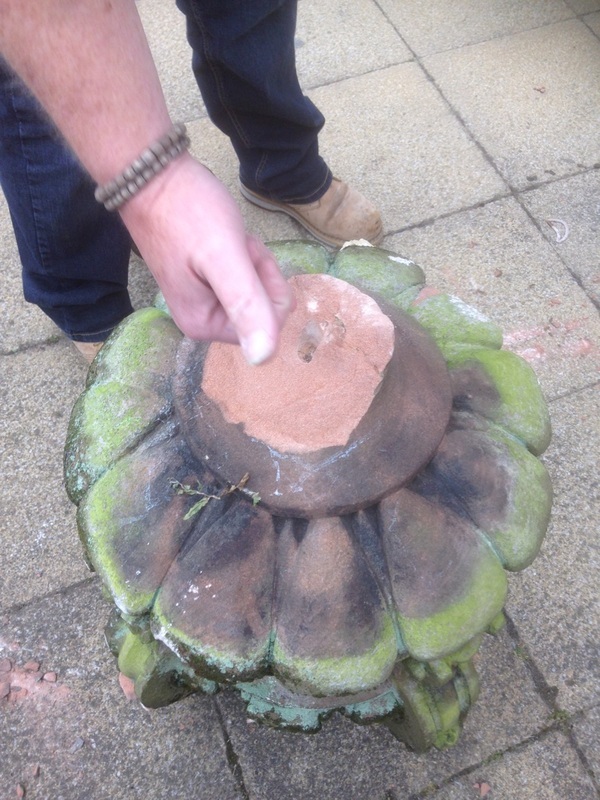 We repaired it using Lithomex and pinned it back into place. 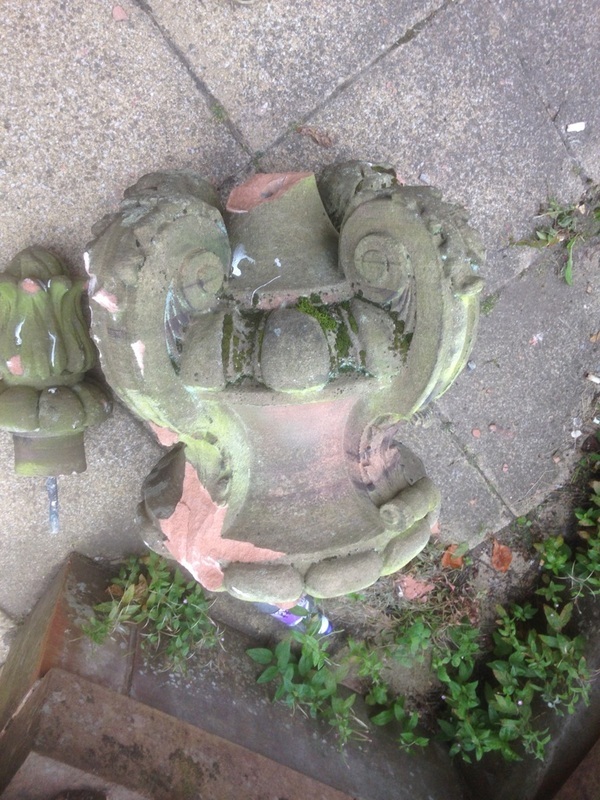 As there were several pieces missing, the second finial was used as a guide.